Please close all Pop Ups as they are unaffiliated with the site! This page will be updated as often as possible. 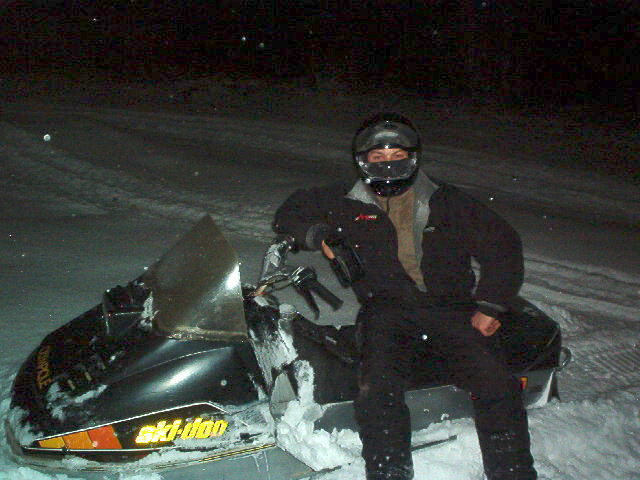 Check back soon or write me at aaronford@hotmail.com if you own such a sled or would like to discuss various issues regarding it. I am not an expert, but will help if I can. 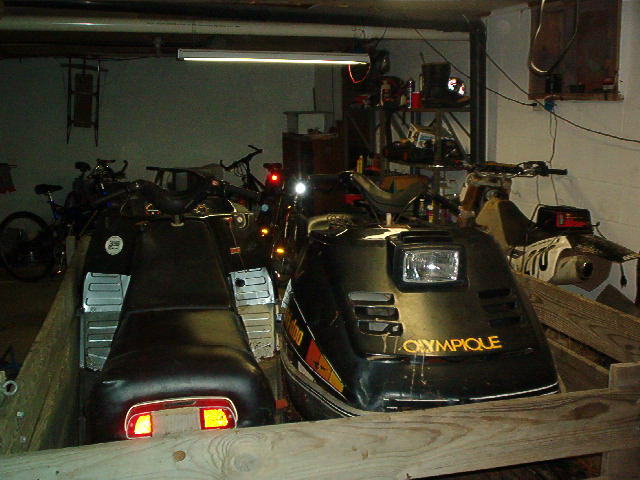 The "My Progress" link will open a page where I discuss my successes and failures regarding cleaning and refitting these snowmobiles. 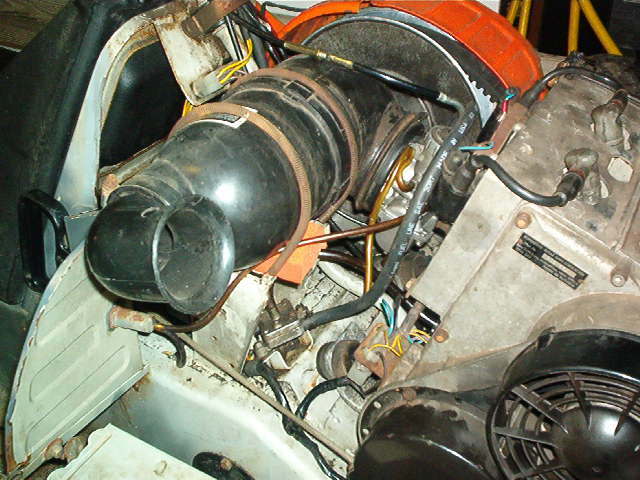 The pic used above was taken on 2 Mar 2005. I have began posting action shots, but I plan to keep some of the garage shots. 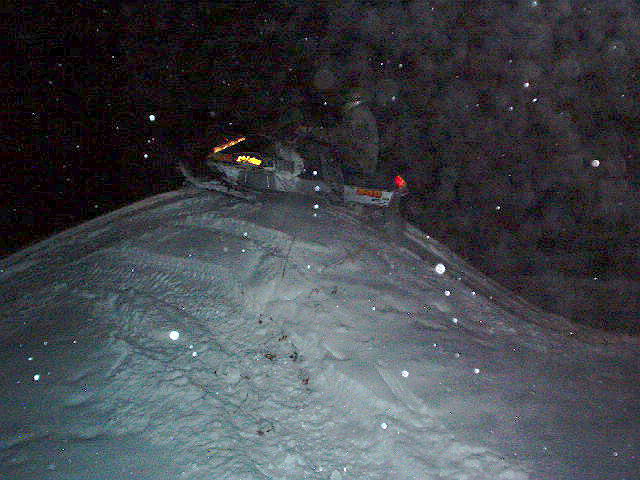 This pic is of my sled on top of a freestyle motocross jump. I nearly lost a leg getting this one, enjoy. 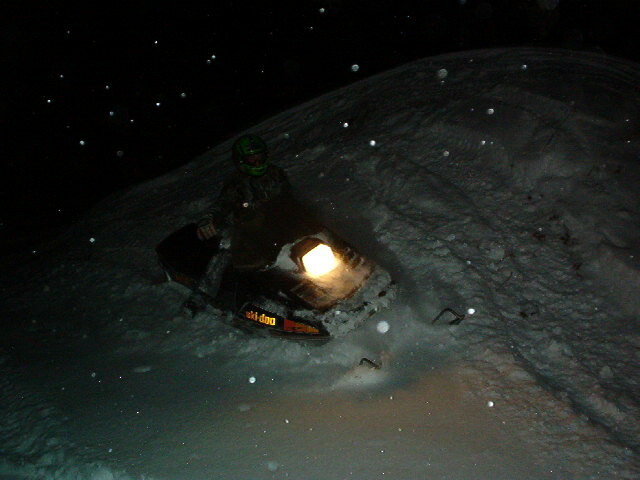 This pic was taken the same night, note the snow plowing. 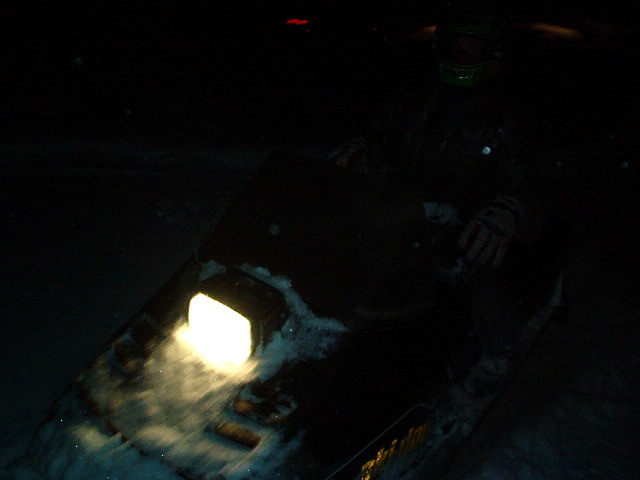 My friend Ray on my sled. 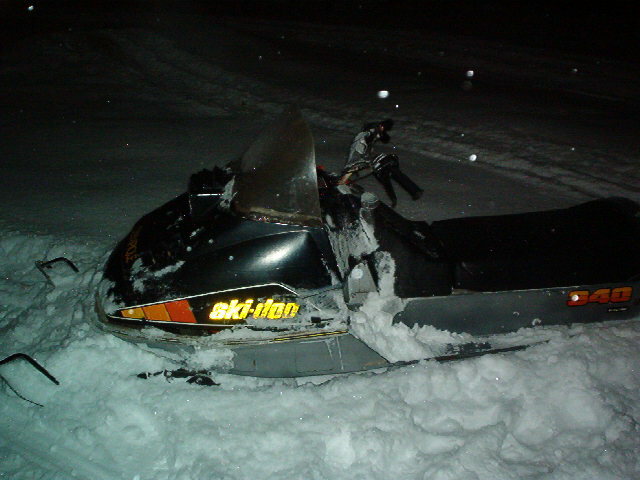 The nose of the electric sled and the tail of the manual sled. Underhood shot of the manual sled. 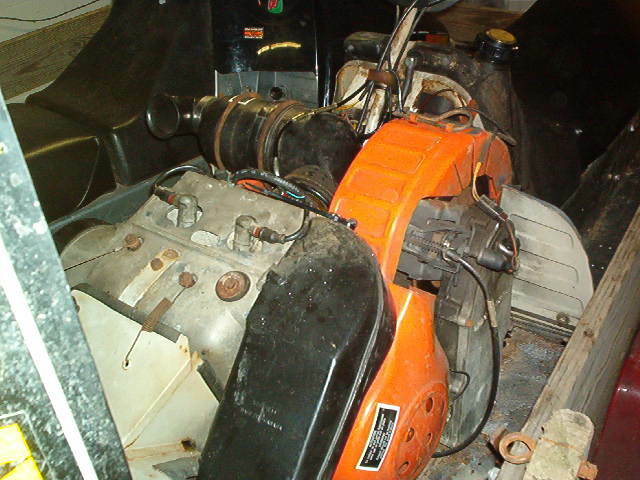 In this pic, you can see the original color, sort of an off grey/tan. 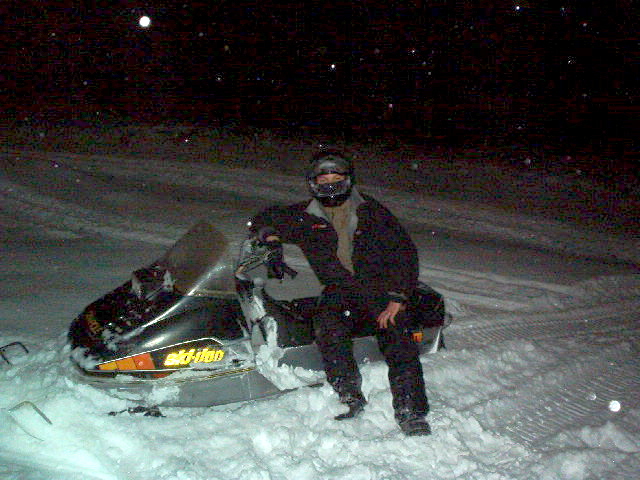 Another pic of me on my electric Ski-doo.